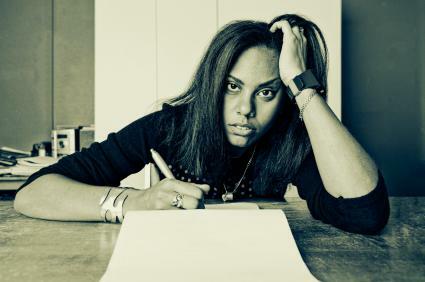 If you struggle to come up with creative writing ideas, you're not alone. Many writers seek that one perfect idea that will pave the way to the best seller's list. Whether you want to be the next Stephen King, Danielle Steel, Stephanie Meyer J.K. Rowling, remember that they all started out the same way - looking for the right idea. Never leave your house without a pen and paper. As a writer, you need to be prepared for whenever inspiration strikes. You may come up with a brilliant idea while hauling your son to soccer practice or stopping for groceries on the way home from work. Don't rely on your memory to keep track of these thoughts. If you're not the type to jot down handwritten notes, carry a small tape recorder for this purpose. Most smart phones offer a recording feature for verbal notes and a note taking feature that lets you type in ideas. If you plan to record someone, be sure you let them know you're recording - particularly during a brain storming session. You can record the discussion and jot down the notes from it when you get home. Many writers base their fiction on events that happened in their personal life. While you don't want to create a completely autobiographical account, it's fine to take a dramatic event from your personal history and use it as the basis for a creative writing project. For example, Jessica Scott used her experiences in the military to bring authenticity to her characters in Because of You. On a similar note, current events can also provide creative writing ideas. For example, novelist Barbara Delinsky has said the reports of a teen pregnancy pact in Gloucester, Massachusetts and the news that Sarah Palin's 17-year-old daughter was pregnant inspired her book Not My Daughter. You don't need to limit yourself to one particular form for your message. If you normally write poems, challenge yourself to write a short story. If you normally write short stories, try writing a haiku or a play. Try revising one of your previous projects to fit a new form, such as transforming a play into a poem. Do you have a favorite classic novel? Consider trying to rewrite the story to create a parody. This may seem like a silly exercise, but you could surprise yourself by producing something that is publishable. Remember that Seth Grahame-Smith had a hit with Pride and Prejudice and Zombies, spawning spinoffs such as Sense and Sensibility and Sea Monsters. Another technique that can help you stimulate new ideas is to choose your favorite book and write the first two to three lines from it and see what stories that spurs. While you should never plagiarize another's work, spontaneous ideas can erupt from different aspects of the prose. For example, the line "It was a dark and stormy night" appeared in many novels, including the 1830 Paul Clifford and the 1962 A Wrinkle in Time. Writing prompts can help you overcome your writer's block. Writing prompts give you a free place to start and can generate new ideas. Use helpful creative writing prompts to end your block. At the heart of most science fiction, fantasy and mystery tales lay the answers to what if questions. Isaac Asimov's I, Robot asked what if robots could think? J.K. Rowling's Harry Potter asked what if wizards exist? J.D. Robb's In Death series answers what would a cop be like in the future? Gene Roddenberry tackled similar matter when he wrote Star Trek. Asking "what if" gives your story idea a direction in which to travel. Look no further than ancient myths and legends for a modern day twist or story idea. Shannon Delany wrote her 13 to Life young adult series after discovering folklore about Russian werewolves. Rick Riordan delved into Greek mythology and the challenges of Perseus for his novels about Percy Jackson and Camp Half-Blood. Take some time to visit the library or Google myths and legends. Look for the story that resonates with you and ask yourself how you can make this relevant today. Head out to somewhere public -coffee shop, bookstore, park- and find a place to sit and listen. Write down the snippets of dialogue you hear around you. Try to add descriptions for tone, voice, and actions that go with the dialogue. Sometimes the best ideas come from the most random places. This exercise also works when you're watching a television show, a movie or commercial. Stories can be born from the most innocuous moments. When you're searching for creative writing ideas, resist the urge to be overly critical of your work. The first draft of a project is simply an outline of what you hope to create; it's not supposed to be a perfectly polished masterpiece. Professional writers understand that writing is an ongoing process. A first draft may need to be revised and edited several times before it reaches a publishable form. If you let yourself get overwhelmed by pressure to create perfect work in the initial stages, you're likely to become discouraged and give up on the project entirely. The best way to write the next breakout idea is to just start writing.